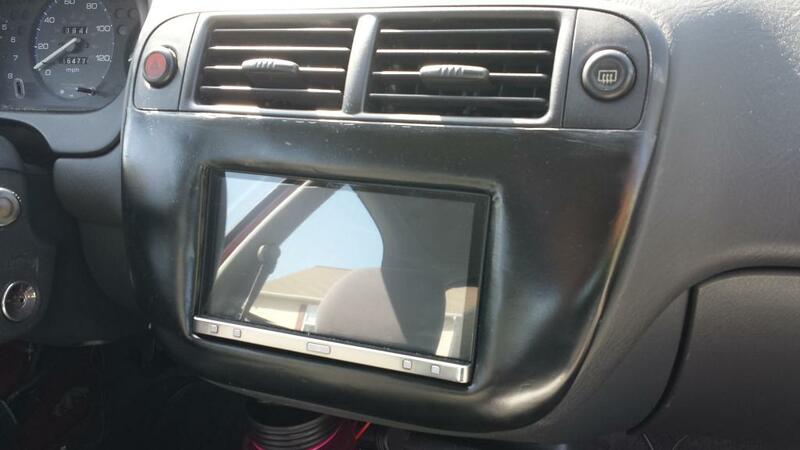 My 98 cx double din mod. Hi everyone. 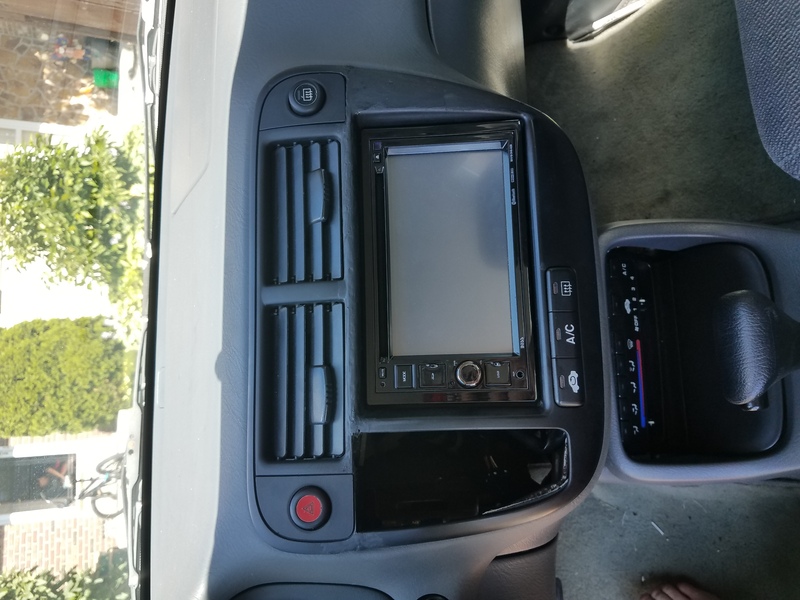 This is my first post, and just wanted to share what I did in order to fit a double din on my 98 cx. I've had the car for a year already, and one of the mods I wanted to do was to install a double din radio; an Appradio2 to be specific. 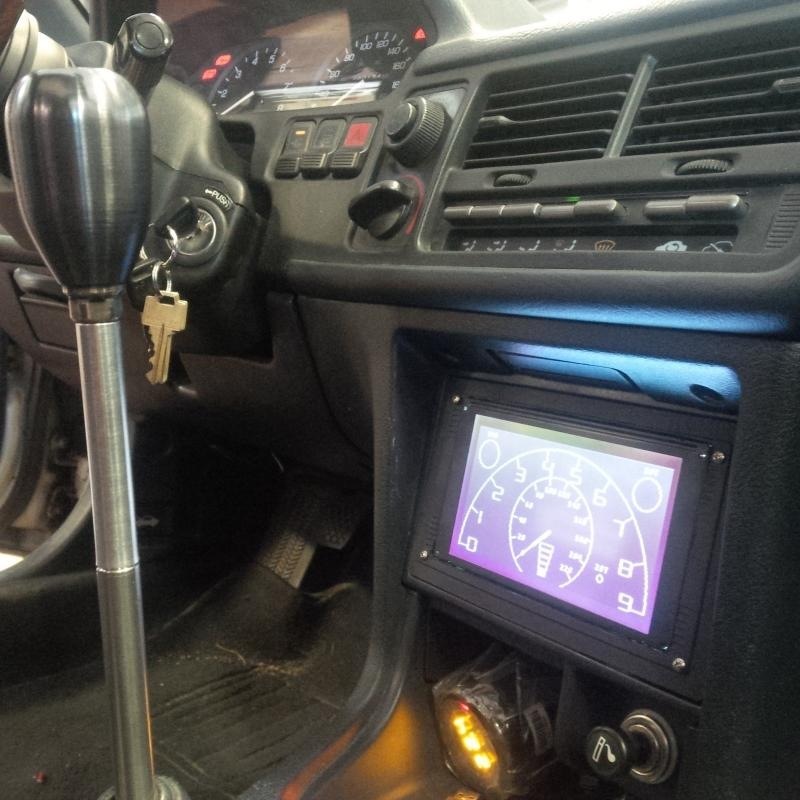 I was first thinking about doing the 99-00 climate control and AC, but did not want to break the dash apart. I did not want to do the climate control only either, because there would've been nothing holding it to the dash. As a last resource I decided to venture on fiberglassing my 98 bezel. I moved the climate to above the cup holder, and tried fiberglass for the first time. this is what I got. Is not perfect, but it works. Maybe next summer I will make another one and try to make it look better than this one. here it is. Doesn't look like it would have been too easy. Hope you're enjoying the new setup. Not a bad first start. I haven't really done any thing of this type myself but growing up I had a friend who was crazy into this stuff and after a few attempts he started to really get the hang of it and he made some real decent parts that looked OEM. Keep this up. Such a different look to the installation than the first pic by the OP, but I like the look of it, Dustin. Can you send me where you found info on fiberglassing your dash panel? I ended up attempting the same mod. I took the dash bezel from a 99 civic which was 20 bucks from the junkyard. I cut it in half and fused it with half of the original bezel. Pretty much the same as what you did, except no fiberglass. I also still have to fill the hole where the climate control on the 99 was supposed to fit. Im probably going to make a cubby hole for it. kenwood double din any good? Quick Reply: My 98 cx double din mod.